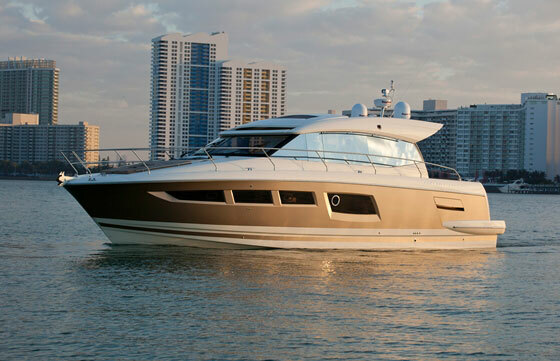 Prestige recently announced the U.S. debut of two new models: the 450 Sport and 450 Flybridge. 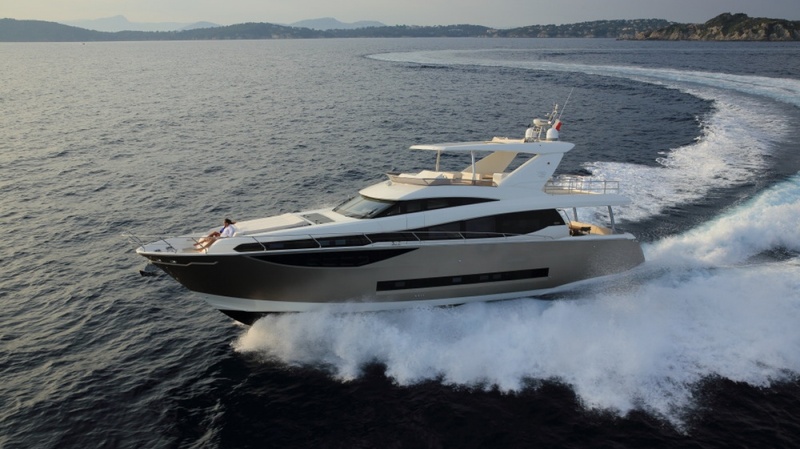 With recent introductions like the 620 S Flybridge, the 500 S, and the Prestige 60, this builder is busy building up its fleet of luxury motor yachts. 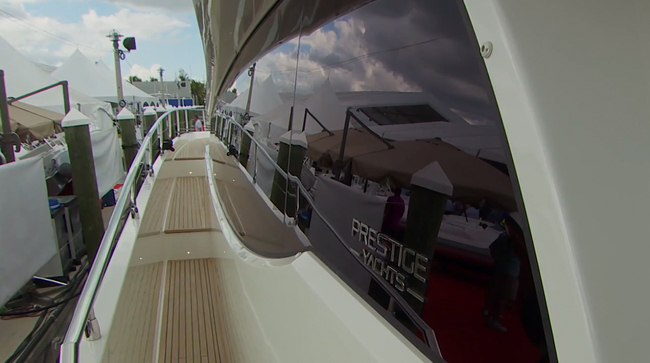 Proof that this build-up continues will be gleaming alongside the docks at the upcoming Ft. Lauderdale Boat Show. The flybridge version of the Prestige 450 not only provides extra seating up top, there's also a huge sunpad. Both models feature similar interior layouts and specifications (LOA 45’9”; beam is 14’1”), and they’re both based on the same Michael Peters hull that’s designed specifically for Volvo IPS 600 pod drives. 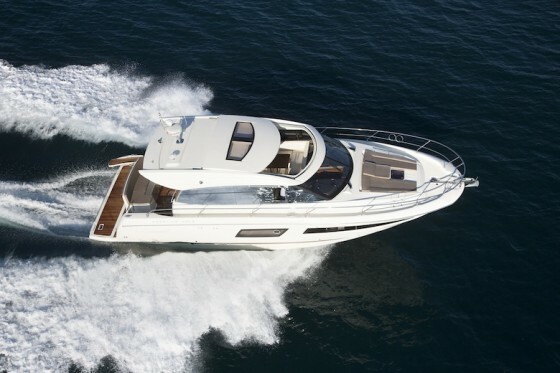 Not only do these drives make both iterations of the 450 more maneuverable, they also move the engines much farther aft, allowing for a full-beam master suite with queen berth. That suite is amidships. Forward is a huge VIP cabin for guests. We like the berth here, which can be set up as twin beds or pushed together, scissor style, to form a queen-size bed. Both cabins have private heads. Perhaps more interesting, though, is the way the floor plan for the accommodations level is split. 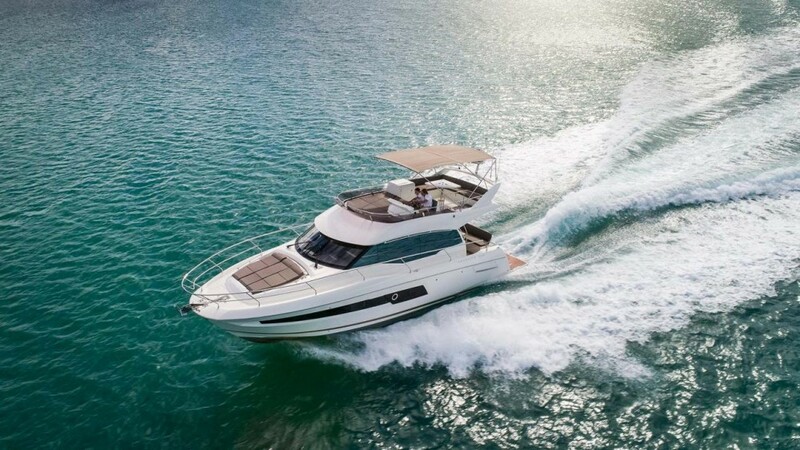 Rather than owner and guests all sharing a common foyer to the cabins, the owner’s stateroom has private access from a companionway between the salon and galley. 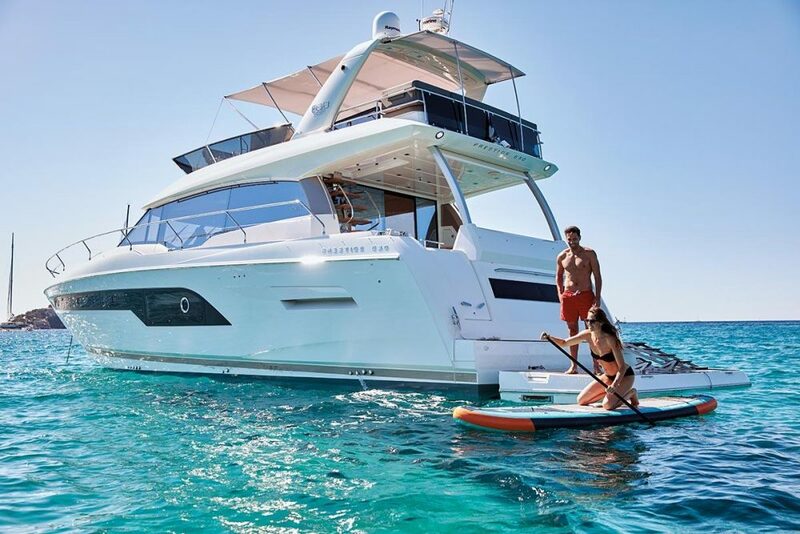 As with all Prestige Yachts, this 450 demonstrates great use of space and layouts that will seem very practical to the discerning eyes of experienced cruisers. On the main deck, for instance, the galley is located at the aft end of the salon where it’s close to another key social area: the cockpit. And the salon is brightened and ventilated by a sliding sunroof. 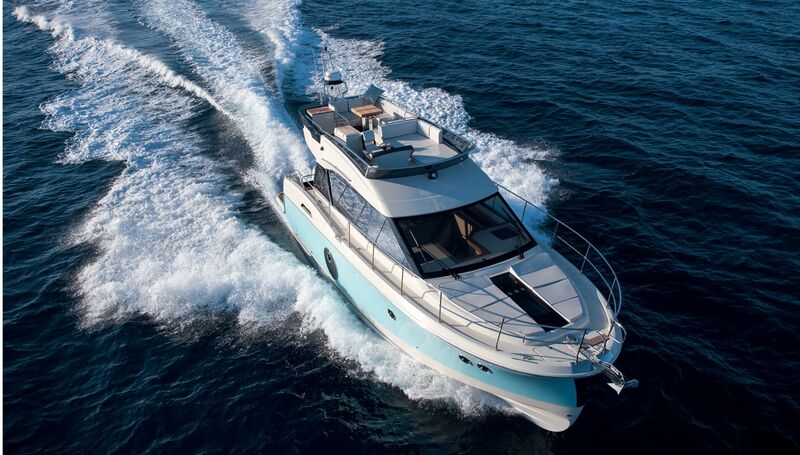 On the express model, Prestige includes a large overhead sunroof to help let the natural light and salty breezes flow in belowdecks. Prestige Yachts are produced under the corporate umbrella of Groupe Beneteau, the French boatbuilding conglomerate that also manufactures the Beneteau, Jeanneau, Lagoon and Monte Carlo brands, among others. 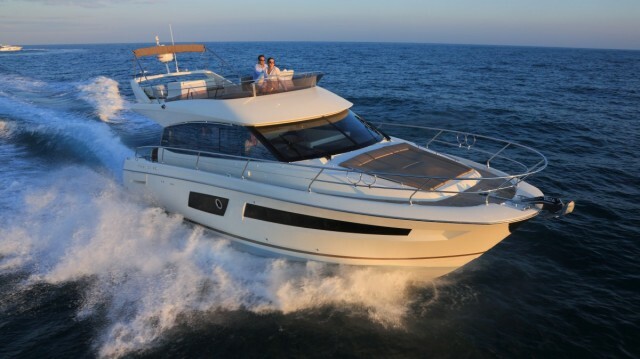 Although the sporty and stylish Prestige motor yachts are unique from those others, this series does benefit from the buying power and building technology of the Groupe Beneteau empire. 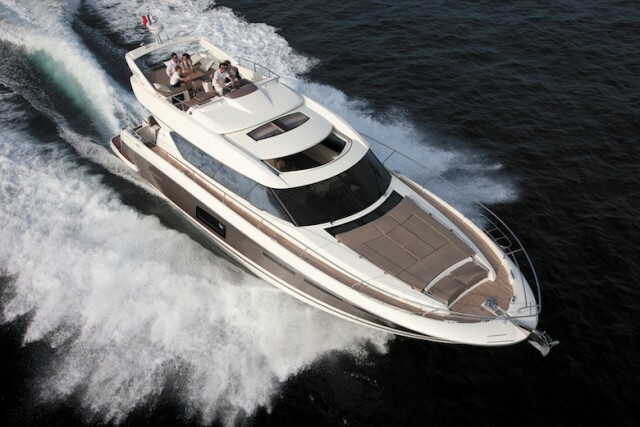 As a result, Prestige is able to offer the 450 Sport and Fly for a competitive price and still keep quality standards high. 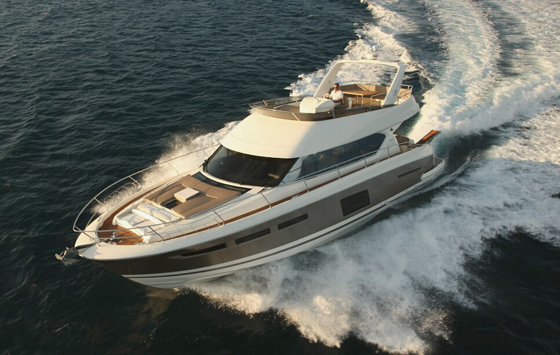 For more information, visit Prestige Yachts.